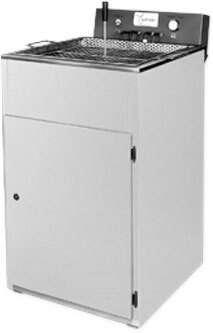 Higly developed specially reinforced heaters on the entire surface of the tank, ensuring uniformity of temperature controlled by thermostat. 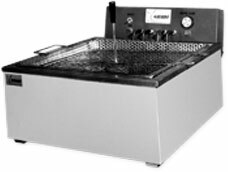 Big surface tank with basket and upper grid to ensure total immersion of products to be fried. Hygenic: Tilting head for easy cleaning. Optionally with valve to empty the oil. All made in stainless steel (AISI 304).